TEVA is trapped in a mountain of debt exceeding $40 billion. 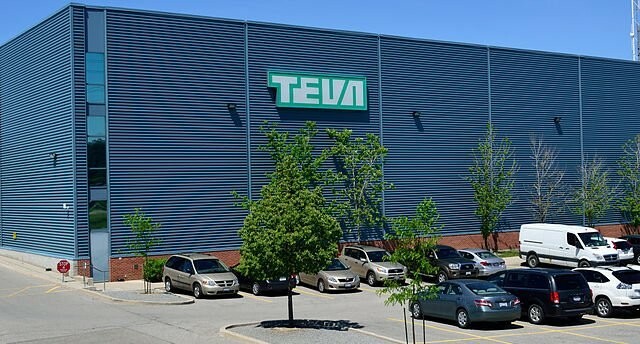 Fourteen-thousand employees which made up 25% of TEVA’s workforce will be laid off. It needs to think beyond traditional restructuring. This is hardly news. That’s the nature of the business landscape that exists in an unfortunate vicious cycle: grow, borrow, expand beyond capacity, and restructure to start all over again. Not every company fully experiences this entire cycle. Many companies will fall victim to their debt and become prey to their hungry competitors. According to McKinsey, 95% of companies don’t understand their value proposition, and consequently, trade on price. Alternatively, we can say that these companies show one fundamental symptom: They have the commodity mindset. This mindset is our own creation. We need to first understand how we create this mindset, what it entails and how can companies cure it. The commodity mindset is a set of beliefs and assumptions that put together lead to a business trap. As the old saying goes: “We buy with our hearts, and then justify it with our heads”. Organizational behavior is no different, and companies are creative enough to explain their success. They won’t look further. They won’t check whether the explanation to this success is valid at all or whether they can explain their success in a different way. Their mindset becomes “one solution fits all”. They will rely on surveys and reports because they support their logic. Their offers are solutions to hypothetical problems. Hypothetical, because these companies never checked with their customers what their real problem is. However, even when companies have successful solutions, the solutions are always easily copied by competitors and leads to price war. The only way to win is to slash prices and to reduce profit margins. Not one company would survive this way. It would either come out with their money, or will end with a loss. When it is impossible to make even one dollar of profit the way of growing is by becoming bigger. Companies try to take over their competition as a means of survival. This defensive behavior may save the company from losses, but will not help it grow. This mindset doesn’t allow companies to raise prices and blocks their growth. The only way to grow is by becoming larger and more potent. Regrettably, with no profit and no cash these company need to borrow. Hoping to curb the competition is a false hope and wishful thinking. Competition will always exist and will put so much pressure over the profit margins that the borrowing company will not be able to pay its debt unless it divest serious portion of itself and raise the necessary funds. The only way to continue is restructuring. Hence, the commodity mindset is set because of two reasons. Firstly, we were educated to appreciate the superiority of logic over emotion. The easily copied “one solution fits all” is a tribute to our rational thinking. Secondly, we perceive the principle of the “survival of the fittest” in its primitive, animal-world format. Companies prefer emotionally to defend their offer through price war where even the winner will be left licking its wounds. Consequently, companies following this commodity mindset committed one cardinal sin – they never talked to the customer. Can we rely on reports and surveys? Not really. That’s how Blockbuster lost its market to Netflix. Reed Hastings, Netflix co-founder and CEO explained how he met with Blockbuster and tried to convince them that their business model is outdated. Managers of Blockbuster explained from one their reports that “our customers like to come in, to check the DVD boxes and to read the reviews on their back”. However, Netflix’s Hastings visited Blockbuster’s outlets and actually talked to the customers to hear a different story. The rest is history. Blockbuster went bust, and Netflix took over the market. You’d think that marketers are immune and know their way. After all they should know who the customer is and they should talk to him. Unfortunately, this is not the case. The marketing buzz is that video use in social media will spike up in 2018. I asked a friend and he quoted 42 marketing statistical researches supporting this argument. Those statistics have one similar flaw – none of them checked the customer’s view. Marketers are now busy producing videos, justifying it with statistics which is totally unsubstantial. LinkedIn users know very well that the text-only posts are the most read and most viral. They know this from experience, not from statistics. When talking to customers you will discover two important points. Firstly, the belief in “one solution fits all” is wrong. Each customer has his own particular needs to satisfy and all are using the same product as a means only to their particular goal – satisfying their particular needs. These individual needs are a challenge to the marketer who needs to synthesize them into larger segments. Secondly, and contrary to the logic approach of the commodity mindset, customers are motivated by emotion and not by logic. Luxury is doing exactly this. It uses the bare product, the commodity as a platform for delivering the added value – answering to the emotional needs of the customer and cashing on it. Luxury is expensive because it is laden with emotional added-value. In 1988, Mazda introduced its 626 model to the UK market, and it was compared to the Mercedes-Benz and BMW models that were sold for $49.000 or more. Mazda asked in its advertisements why customers pay extra money when they can get a similar car for less. Mazda missed the point. Though the 626, Mercedes-Benz, and BMW all offered a similar product, people would rather pay for the added value that the Mercedes-Benz and BMW offered that couldn’t be found in the 626. Hence, the alternative marketing approach is luxury marketing or marketing based on principles of luxury. There is a fundamental difference between the commodity and the marketing approaches. The commodity approach is based on removing any chance for choice – one solution exists and it should satisfy all. On the other hand, the luxury approach is a tribute to the underlying quality of man – his ability to choose. Therefore, any luxury-type marketing offer is based on several good options to choose from. For developing these options we start with careful market research that would reveal the subconscious, emotional needs of the customer. It follows with segmentation practice that will synthesize these various needs into large enough segments to market. As a result, the company will have several products, each fitting a different segment’s emotional needs. Because of the emotional added-value of each offer the company will be able to raise its profit margins. The more laden with emotional added-value the offer is, the higher the margins will be. It is impossible to stop competition, and all the company can strive for is to dictate the rules of competition only. The way to compete is to have a direct dialogue with the customer and to authentically answer his emotional needs. The competition will have to do exactly the same – find its own authentic voice, create an intimate dialogue and answering the customer subconscious needs in its own way. However, this approach is based not only on identifying the particular needs of each customer but also on segmentation – synthesizing these particular needs into coherent segments. There are no rules here and each company would be able to define its particular marketing approach. There will never be one winner takes all. Not only I am not familiar with the pharmaceutical industry, any professional advice needs to be supported by prior sound research that I never conducted. Nevertheless, we can examine few of the challenges that TEVA might face. Elementary to luxury marketing is that the customer will have a choice that reflects his particular emotional needs. This is usually not the case when the patient accepts the decision of the physician that doesn’t take the patient’s emotional welfare into account. How can we allow the end-customer the ability to choose between equally good solutions? Next, we need to understand the physician’s motivation. Faithful to our approach this group – the physicians is segmented as well. Finally, the health insurance companies, which finance the treatment are also not all cut from the same fabric. They all have their motivations that need to be satisfied. In my research on boards I could clearly identify patterns of behavior that need to be satisfy. It is not enough to say that these companies like to act in a thrifty way. The question is why they act so and the answer varied and reflects the decision makers’ worldviews. 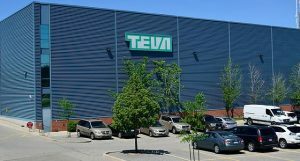 However, as the problem becomes more complex it may allow TEVA to develop its unique answer that will satisfy the true needs of all stakeholders at once. A solid answer will position TEVA as resilient to competition and allow the company growing with better profit margins.